When the author had published 100 stories in literary and online magazines he thought it was time to collect them in a book. The result was 53 stories in a 315-page paperback; this seemed sufficient. 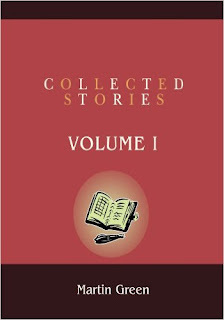 These collected stories are now available as an e-book, which is a pretty good bargain. The 53 stories are grouped in five sections, primarily by location: Growing Up in the Bronx, Army Stories, New York Stories, San Francisco Stories and Sacramento Stories. They reflect the author's own experiences but are common to most readers, especially those who grew up in the Depression years and came of age in the 1950's. Growing Up in the Bronx has stories about a boy who desperately wants a tricycle, who has to face up to the school bully and who discovers that teachers are human as well as stories entitled "First Kiss" and "Betrayal." In Army Stories a young man drafted during Korea has to survive the military, then in New York Stories has to get his first job and has his first love, or near-love, before making the big decision to leave job, girl and (Jewish) mother and find "freedom" by going to California. Most of San Francisco Stories are about the adventures, misadventures really, of young men on their own for the first time. In Sacramento Stories the young men are middle-aged and trying to cope with work and families. Finally, the last story touches on something we all have to face: "Mortality."